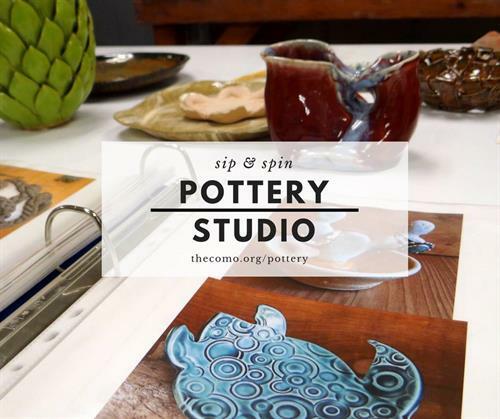 Come join us for a fun night out at the COMO Pottery Studio! We will be hosting Sip & Spin social on both the first AND third Friday of every month. Bring your favorite wine or brew and sip through a professional wheel throwing demo. Small snacks will also be provided. Then be instructed how to throw your own creation on the pottery wheel or by handbuilding. Clay and firing for one piece is included. Creations will be fired and glazed by instructor and can be picked up two weeks later. Taught by Victoria Schmidlapp. Ages 21+. There is a six-person max for the sip and spin socials. First and third Friday of every month from 6-8 p.m.